The entry deadline is August 13th, [UPDATE: new entry deadline is August 20th.] This year's venue promises to be the best ever. 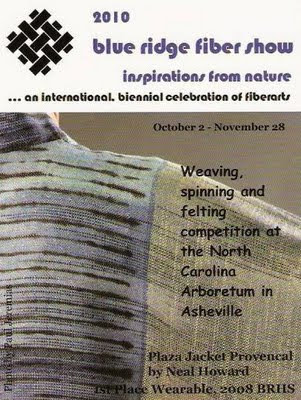 For more information, visit The Blue Ridge Fiber Show website. Do you think I can send some projects and that they would be exhibited? Bety yes. There is no jurying process to enter. 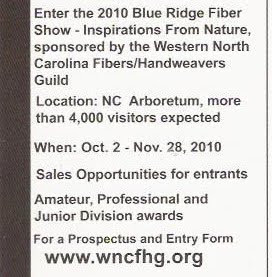 Click on the WNC guild link to find the BRFS link, where you will find the entry forms.